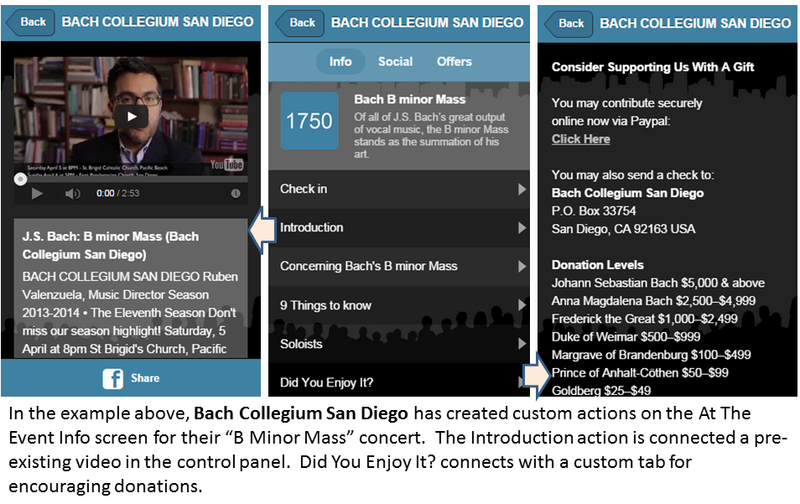 Ever thought about linking At The Event or a custom tab to a video or music album? What about creating a QR Code for a specific event to use in a marketing campaign? The “Get URL” tool lets you quickly get an in-app or external URL to any tab or content that you’ve already added. A few months ago, we talked about how to make your app unique with custom tabs. If you have quite a few custom tabs that are related to each other, then you may want to create a submenu tab with deeper links to those related custom tabs. The submenu tab visually organizes information for the end user. Start by creating the custom tabs that will be featured on the submenu tab. 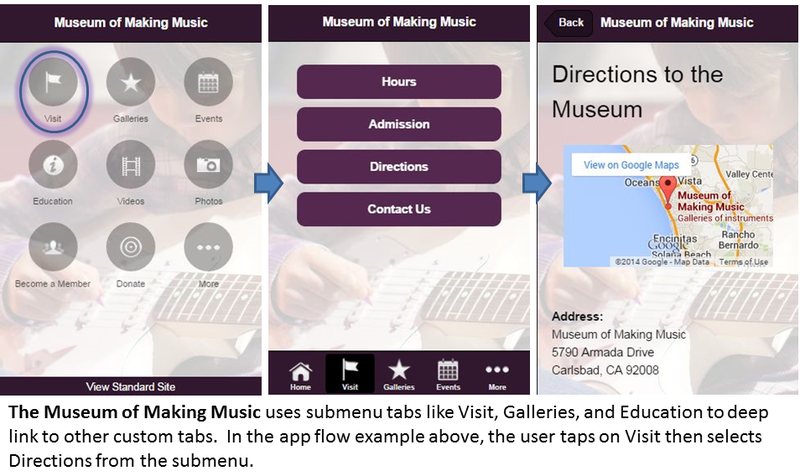 Go to Mobile >> Tabs in the control panel and disable the Display in App checkbox for each of those custom tabs. Add a button, bullet, or text label for each custom tab to be featured. Use the Get URL tool to find the In-App Link for each custom tab. Connect the In-App Link to its respective item on the submenu page. As the video demonstrates, you can use the Get URL tool to add custom actions to the Info screen when you activate At The Event for a performance. When you use the Get URL tool to add a custom action to At The Event, be sure to use the In-App Link to keep the navigation within your mobile app. The video also mentions using the Get URL tool to connect a QR code with content in your app. (To learn more about QR codes, click here.) You can also use the Get URL tool to share app content like streaming music via email and social media. If you are going to link to in-app content from an outside source, be sure to use the External URL associated with your content.